. : Background and context of the initiative.
.: Papers are invited on the following topics.
.: Abstracts should be submitted in English.
.: Venue, Travel to Sibiu. number of rooms have been blocked in the Ramada Sibiu Hotel where the conference venue is. Participants are kindly asked to book their room themselves. 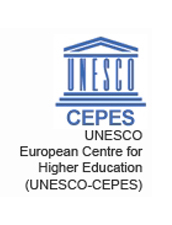 Please remember to mention “UNESCO-CEPES-LBUS International Conference” when booking your hotel room. Online bookings via third websites will not receive the reduced prices. Send your booking requests to reservations@ramadasibiu.ro and mention "UNESCO-CEPES-LBUS International Conference"in the subject line. Please note that accommodation and travel to and from Sibiu are at the participants’ own expense. Please note that hotel rooms have been blocked until April 15, 2011. Hotel reservation or changes after this date will be subject to hotel availability.